There is nothing quite like it! You'll love it! You can use AFerry to book a Hovertravel hovercraft to the Isle of Wight from England and to England from the Isle of Wight. Hovertravel is the world's longest running commercial hovercraft service and is the only scheduled passenger hovercraft service in Europe. Hovertravel offers the fastest way to cross the Solent. You can use AFerry to book Hovertravel ferries from Porstmouth (Southsea) to the port of Ryde on the Isle of Wight. See below for the latest Hovertravel prices and sailing times. Click on your route for a detailed Hovertravel timetable including arrival and departure times. Hovertravel is the world's longest running commercial hovercraft service and is the only scheduled passenger hovercraft service in Europe. 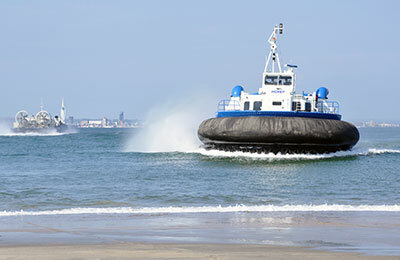 Hovertravel offers the fastest way to cross the Solent between Southsea, Portsmouth and Ryde, Isle of Wight. 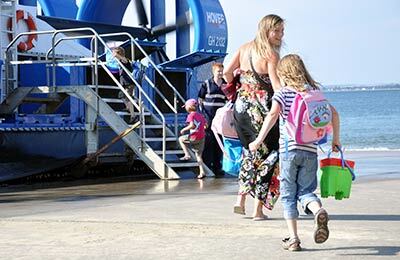 With Hovertravel you are taken directly to the shore of either Southsea or Ryde, giving you quick access to both ports. Onward travel connections are easily accessible from Southsea and Ryde. You can book cheap Hovertravel ferries online, check availability and the latest prices and then receive an instant email confirmations with AFerry. Hovertravel provide a Hoverbus service which connects with the Hovercraft at Southsea and conveniently takes passengers to and from Portsmouth Harbour, Gunwharf Quays and Portsmouth and Southsea City Centre. There are also large car parks at the terminal, coach parking nearby and National Express and Greyhound coach Stations opposite the terminal. Hovertravel have two craft: Freedom 90 is of the API-88/100S designs, but the BHT130 Solent Express, which was introduced in 2007, marks one of Hovertravel's most significant achievements, being the first model to be entirely designed and built by sister company Hoverwork (now called Griffon Hoverwork Ltd). The BHT130 weighs 75 tonnes, carries 130 passengers and can travel at a speed of 45 knots although is capable of speeds in excess of this. 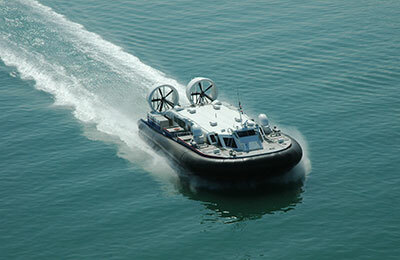 These hovercraft have spacious interiors and are designed to provide great comfort and reliability to the passengers even in adverse weather conditions.